Hoi, chummers! As the big Shadowrun tabletop fan on staff, it’s probably no surprise that I’m reviewing this game or that I was a backer of Shadowrun Returns on Kickstarter. I pledged $125 dollars to help get the game made, which may sound insane if you picked it up on Steam for $19.99 or $34.99, but I feel I got my money’s worth. After all, for my $125 I received three copies of the game for Steam, a DRM free copy (only available to Kickstarter backers), a special ability only available to Kickstarter backers, what appears to be an unlimited supply of Doc Wagon Platinum, a Shadowrun T-shirt, a personalized Doc Wagon card to put with all my Shadowrun books, a hardcover copy of the anthology (review will be up of the PDF version in a few days! ), a boxed version of the game for unlimited DRM free play, USB Shadowrun Dog Tags, a physical copy of the soundtrack and four copies of the eventual Berlin DLC (Three Steam, one DRM free). So I kind of think I’m getting my money’s worth, even if the physical items won’t arrive for a while still. I love Shadowrun. I’ve been playing since First Edition although 2e and 4E are my favorite versions (Fifth is more than likely going to surpass 4e though because it’s that good. I just can’t make that definitive claim yet because only the core rulebook and a collection of updated adventures for the new system have been released.) . I love three of the four previous video game versions (The 360 one…just no. Bad Microsoft!) although I do feel the Sega Genesis one captures the system and feel of the actual tabletop game best. I wrote the original localization/English translation guide for the Sega-CD version back in high school/college and it’s easily one of my three favorite tabletop games of all time, along with Call of Cthulhu and Vampire: The Masquerade (although Mayfair’s DC Heroes system and TSR’s FASERIP for Marvel hold special places in my heart). So because of this long standing love affair with the Sixth World, one might be inclined to assume I would fanboy fap all over this game. Well, as the guys over at Catalyst Game Labs will be the first to tell you – that’s not necessarily the case when I do Shadowrun reviews. So if you’re not in the mood for a long and highly detailed review let me sum up Shadowrun Returns in a single sentence: Shadowrun Returns is easily in my top three games of the year, is a definite Game of the Year contender here at Diehard GameFAN and while not as groundbreaking or ahead of its time as the Sega Genesis version was, SR does blow the SNES, Sega-CD and 360 Shadowrun games out of the water. Hell, I’ve been playing two games at once – the DRM free one with a Troll Physical Adept (Hilarious meat wall!) and an Elven Bear Shaman on Steam. I’ll definitely be back for a third game with a Rigger next. Between this and Dragon’s Crown, I probably won’t need another video game for the rest of the calendar year. Now, let’s take a look at why Shadowrun Returns is so awesome. The game’s plot starts out very similar to the Sega Genesis one. Your homemade protagonist sets out to Seattle to discover who murdered someone close to you. In Shadowrun Returns, it’s an old run buddy and in the Sega Genesis version it’s your brother, but it’s close enough that you’ll notice the resemblance of the plot hooks. 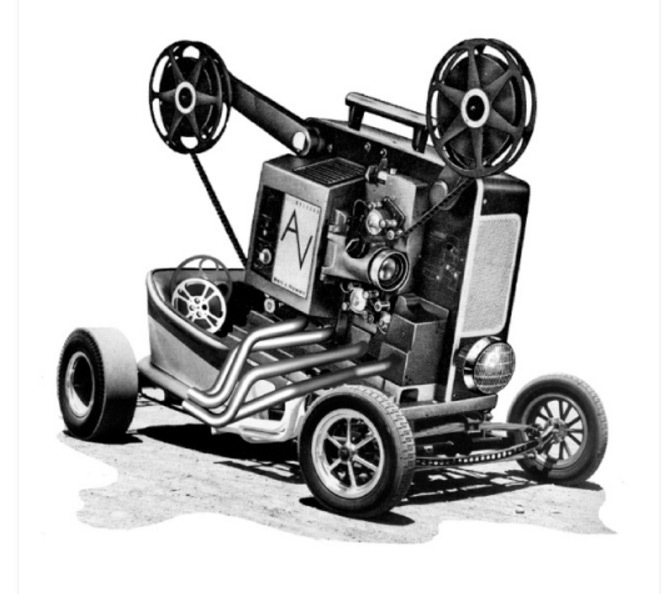 From there though, the games diverge wildly in story, if not flow. 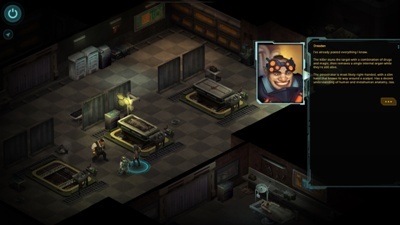 In Shadowrun Returns you discover that your friend is a victim of a serial killer, one who is removing organs from victims while still alive. Each organ is different with each kill. You find yourself encapsulated by a wider range conspiracy that will take you throughout Seattle, making many a new friend and/or enemy. Along the way your character will become crazy powerful and you’ll see many of the iconic mega-corps, locations and even some characters that have madeShadowrun so memorable over the years. Shadowrun Returns is very linear and 95% of the game will play out the exact same way in the exact same order each time you play it. What will be different are your character build and the answers your give during dialogue. A great example is my Elven Shaman had a Charisma of 7 two and a half hours into the game while my Troll Physical Adept had a Charisma of…1. This meant the Elf had more dialogue options open to him, which made the game slightly different at times. There are also some sub-quests that you can pick up, but they’re quite short, fairly easy and just give you a bit more Karma (experience points). If you’re looking for something like the Genesis game that spat out unlimited randomly generated sub-quests till the end of time, you won’t find that here. Instead you’ll just fine a nicely told tightly woven narrative that highlights why the 2050s in the Sixth World were such an amazing time. The graphics are probably the weakest area of Shadowrun Returns. Now Tactical RPGs have never been known for their graphics. When one thinks of the genre, the mind inevitably turns towards Fire Emblem and Shining Force, where you have some deformed visuals on an overworld followed by pretty impressive (but repetitive) looking fight scenes. That’s not the case with Shadowrun Returns. Here the battle and overworld graphics are exactly the same. What that means is that the world design and exploration of the maps looks better than a lot of games in the genre with a good amount of detail and some nicely laid out level design. It also means that the character design is a bit lacking compared to other contemporary games from other genres. 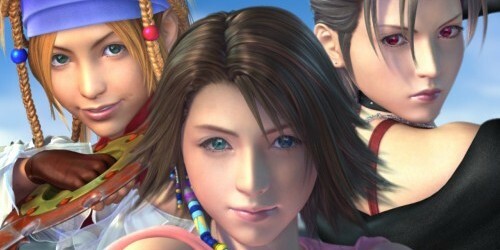 There is less detail to protagonist and antagonist models that you would find in other forms of RPGs. 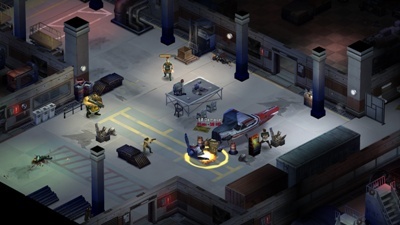 Again, part of this is due to the genre as the focus is on gameplay and engine complexity rather than visuals, and part of it is that Shadowrun Returns is an indie game with a small budget that was mostly crowd-funded. In terms of a SRPG, Shadowrun returns is an incredibly gorgeous game, on par with Fire Emblem: Awakening, but it looks a generation or two behind say, Skyrim or Fallout: New Vegas because of the aforementioned reasons. If graphics is what you look for most in a game, then you might be disappointed here, but as a longtime SRPG fan, I’m really happy to have a tactics game with this visual quality on my PC because it’s a rare combo. The great news is that the soundtrack for Shadowrun Returns is wonderful. Each track captures the feel of the 2050s, as well as the location your character is currently at. I’m glad I have a physical copy of the soundtrack coming because it will live in my car for sure. The tracks are catchy and I still find myself humming some of them. Honestly, the soundtrack more than makes up for the lack of voice acting because it is that fun. Hell, I might even use some of the tracks for background noise when running a game or two of Shadowrun with my friends. Now sure, none of the tracks are say, Teiko Ikemoto amazing, but even she would probably consider sampling a few of these tracks for her next album. 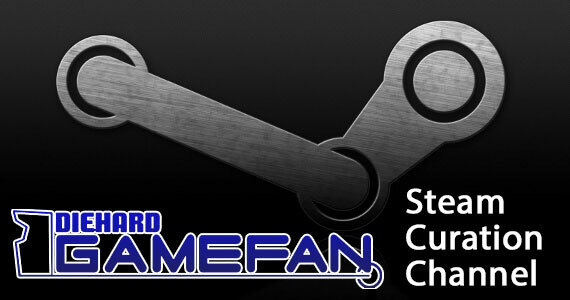 The soundtrack alone is worth upgrading to the Premium version of the game on Steam, so if you somehow haven’t purchased the game yet, keep this in mind. Then there are the classes. The SNES game basically made you a Jack of all Trades, but master of none while the Sega Genesis game let you choose between a Decker, Street Samurai and a Gator Shaman, although the Shaman was really closer to a Combat Mage in terms of powers and spells. Here those three classes repeat with the addition of a Physical Adept (think a magic user that channels their power into physical attacks rather than fireballs and lightning bolts), an actual Shaman, giving you a choice of totems like bear, cat, and so on (but no gator!!!) and the Rigger. 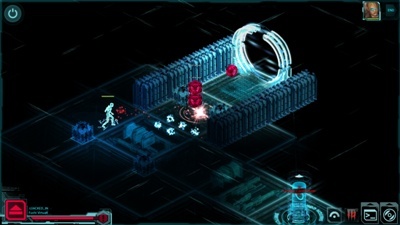 Unlike the early versions of Shadowrun where the Rigger mentally controlled his vehicles, the riggers in Shadowrun Returns are closer to the 4E/5E versions of the game where the character controls little attack drones. Each character class is worth using. Deckers let you have easy access to the Matrix and can hack locked doors and computers. Street Samurai can use Cyberware for pure combat craziness. Shaman, Mages and Physical Adepts all have excellent and varied magic abilities and as the game goes on you can easily mix and match spells for maximum effect. Riggers simply stay out of the way and let their machines do the dirty work for them. All the classes are balanced quite well although Deckers and Riggers should generally let others do the shooting and stabbing for them, at least in the early game. I do think Riggers and Shaman are the most powerful classes, if only because they can add extra people to your party. Riggers get drones and Shaman can add spirits and/or elementals. Besides the sheer power these extra “allies” can add, it also adds an extra body to your party, meaning there is less likelihood of you or your less replaceable allies getting injured or killed. It’s simply a percentage game. It is cheaper to summon spirits than it is to buy drones, but you do have to keep buying spirits whereas a drone lasts more than a single use. Physical Adepts, especially my trolls with a maxed out Body and Strength are amazing tanks keeping your allies alive while shrugging off the damage you would normally receive in the frontlines. I’m really happy with how all the classes played, and everything is well balanced, but push come to shove, the Shaman (especially one with a little bit of Combat Mage in them) is probably the most powerful class in the game. So let’s talk combat. Like most SRPGs, combat is done tactically, which means once it begins, characters do battle on a grid like map. Shadowrun Returns is very different from the vast majority of tactical RPGs while still holding true to the core gameplay, so we should probably go into a little detail here. Instead of being able to see the grid with all the lines and squares, you’re given a general area in which your character can move. Have you ever played the SRPGs Phantom Brave or Makai Kingdom. The movement layout is closer to that than the normal SRPG. As well, most SRPGs are either turned based or speed/agility based. Shadowrun Returns is the former, so it means all of one side goes first and then the other. The side that goes first is always your own, which is a HUGE tactical advantage, especially if you have some characters steeped in ranged attacks (magical or mundane). Each character gets 2 AP (although that can change as the game goes on and how a character on either side is built). Each point lets you move, attack, cast a spell, use an item, summon a spirit, control and drone or anything else I’m somehow missing. So ranged attackers can shoot something off twice, while a melee attacker might have to use their first point to get close to the opponent and the second to move a little further and attack. Once half your health is gone, you lose 1AP so keep your health up with spells or medkits. If a character dies they are permanently dead a la Fire Emblem, but if you have any Doc Wagons, they can bring someone back to life by expending them (25% health for regular, 50% for Gold and 100% for Platinum). Basically think of gameplay as closer to X-Com: Enemy Unknown or Tom Clancy’s Ghost Recon: Shadow War and you will have a pretty good idea of not only what type of SRPG this is, but how combat is done as well. I absolutely adore the combat and think it’s exceptionally well done, but as with any tactical RPG that involves guns, ranged combat is far superior to melee unless your character has a lot of armor and/or dodge. 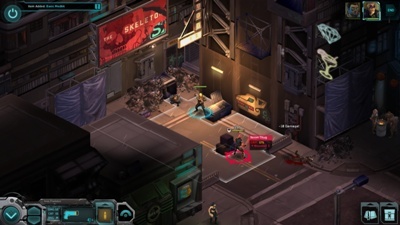 Replay value is a mixed bag with Shadowrun Returns though. The core game itself is fantastic and although the story is exceptionally linear, I played it with two vastly different characters at once and never got bored for a second. Hell, I’ve even started a third with a Human Decker/Rigger combo. So really the replay comes from trying out new characters or different dialogue options. As well, if you really love the story, that’s reason enough to replay. I’ve played the original Genesis Shadowrun game many a time and it never gets old. It’s a classic for a reason. For those who want a little more, there is the upcoming Berlin DLC (I’d have preferred Bug City or someplace a little more exotic for Six World newcomers and vets alike, but there’s no denying that a huge portion of Shadowrun fans are holed up in Germany.) and also the level editor where you can create your own Shadowrun adventures. Now the editor isn’t the most intuitive and it’s definitely going to confuse and frustrate casual gamers, but if you watch the tutorials that are out there, you’ll find it can be a lot of fun. In some ways it reminds me of the time I spent with Vampire: The Masquerade – Redemption and making adventures for my friends with that. If you can make good use of the editor, then you can easily log dozens, if not hundreds of hours between that, the core game, and the upcoming DLC. If not, at least you’re getting a very fun, albeit an extremely linear single player SRPG out of the deal. I’m in the process of porting over one of the adventures I wrote for 2e back in the day (for friends, Shadowrun is one of the few tabletop games I have played a ton of but never written for) which involves a trip slightly south of Seattle for some damn fine coffee, the best cherry pie you’ll ever eat and a conspiracy involving the Black Lodge and a serial killing shedim. As long as you build a character properly and focus on one or two core abilities instead of trying to be a magic wielding cybernetic warrior with a powerful cyberdeck and some rigging drones, the game has a slow but steadily difficulty climb. Mages and Shaman technically have access to unlimited healing so even the hardest battles are easier for them as they won’t be using med packs constantly. Build a character wrong and you’ll find the game is an uphill battle but build a character right and the game should be a challenging, but never frustrating experience. So, originality. This is the first true cyberpunk game in a long time. It’s also the first Shadowrun game for PC since the one put out by Microsoft (Yes, I know we all like to pretend that never existed) and the first good video game with the license in over a decade. It’s also the first tactical RPG for Shadowrun. The SNES and Genesis versions were more action RPGS, while the Sega CD version is more of a visual novel with Phantasy Star-like bits to it. 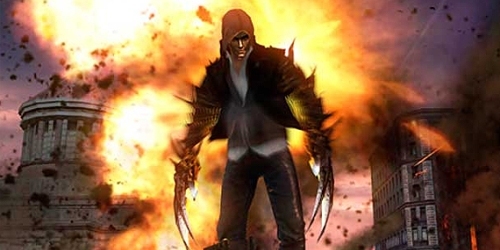 Sure we’ve seen more military/modern weaponry based SRPGs as of late, like the Shadow War and Enemy Unknown, but even those don’t have cybernetic craziness, remote controlled vehicles, the Matrix OR an infusion of fantasy magic and creatures running alongside AK-47s and high powered sniper rifles. 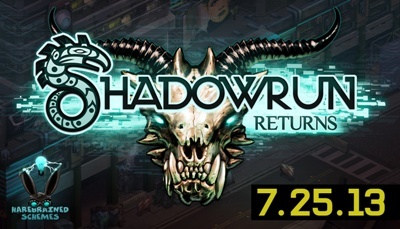 Yes, Shadowrun Returns follows the trappings of previous SRPGs and previous video games using the license, but it definitely stands out from both packs and I think it is highly unlikely it will be mistaken for anything else…unless Harebrained makes us another SRPG for the Sixth World. From reading this review, you can easily tell I loved this game. Every time I turned it on, hours go by in a flash. It’s so hard to put down, and that’s saying something considering I was playing two campaigns concurrently. This is honestly the best game I’ve played on the PC all year and I know several of us on staff have talked about SR being a Game of the Year nominee when it’s time for that whole hubabaloo. I know for me personally, it’s between this, Dragon’s Crown and Deadly Premonition: The Director’s Cut. I know, right? That’s an odd mix. What’s not odd, though, is how good Shadowrun Returns is. The game tried to stick as close as possible to the feel of the tabletop game, even if it’s not an exact replication of the experience (which is fine with me) and more importantly, it captured the mood, theme and stories that have made so many love the Sixth World since its inception. Even if you’ve never played Shadowrun in any form before, you can easily pick up this game and fall in love with it. With luck it will make you want to check out the tabletop game, which is good as the Fifth Edition of the core rulebook just came out. Lucky you! Just remember the video game is set in the 2050s and the newest version of the tabletop experience is in the 2070s. For a closer approximation to the video game, you may want to get Second Edition. All in all, there’s absolutely nothing bad I can say about Shadowrun Returns? Is the story a little linear? Sure, but a lot of RPGs are. Are the graphics slightly dated compared to what is currently possible on a PC? Sure, but this was made by an indie developer on a crowdfunded budget and it STILL looks better than a lot of other games in this genre. Would some gamers have liked voice acting? Of course, but it’s not necessary. Some of the best games I’ve ever played lack voice acting. Shining Force II, Gradius V, Dragon Force, Phantasy Star IV, Wizardry: Proving Grounds of the Mad Overlord and so on lack voice acting. About the only real true complaint I have about Shadowrun Returns is that the title is autosave only. You can’t save whenever you want, so if you’re playing and an emergency or real life happens, too bad chummer – you’re screwed. With the capability to save at any time, you could simply say, “Nil Sweat.” and not have to worry about losing minutes or hours of gameplay. Still, this is an aspect I’m sure we’ll see patched (hopefully for both the DRM and Non-DRM version) as it is an easy fix to make. Trust me, I’ve thought about doing it myself for my DRM-free version. I think Bull would be proud of me for doing so too…Jordan, not so much though. The bottom line is that Shadowrun Returns is a truly wonderful experience from beginning to end and reminds me why I fell in love with both the video game and tabletop versions of the Sixth World in the early 90s and how it’s influenced me ever since (I was a Cyberdog shill for a while people. I practically dressed like some of the characters in this game!) The entire experience is top notch and I just hope we don’t have to go another twenty years before we get another high quality video game version of Shadowrun. Hell, the engine is solid enough that I could even see Harebrained doing short episodic Shadowrun games, a la the current tabletop Shadowrun Missions lines. If you own this already, you already know why I love this. If you don’t own it yet, then my god man or woman, what are you waiting for? It’s only $19.99 for the basic version on Steam. Just go get it already. Otherwise you’re missing out on not just one of the best PC games of 2013 or one of the best RPGs of 2013, but one of the best games across the board for this year and why would you want to deprive yourself of that? 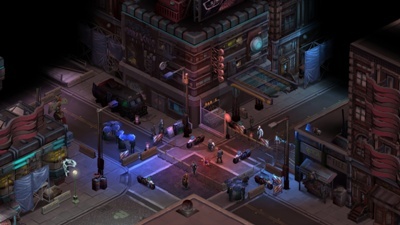 Shadowrun Returns is one of the best games of the year. 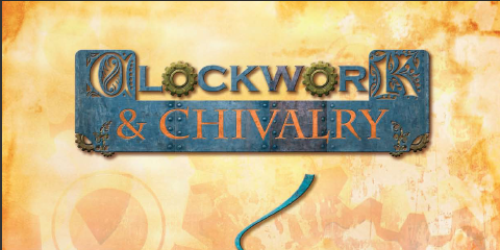 It manages to hold true to mood, theme, mechanics and character building of the tabletop game and is simply a joy to play. Is it a perfect conversion of the tabletop game? No, but Shadowrun is far more about the stories being told about the Sixth World than following the mechanics to a T. There are fifth editions and countless house rules for the game after all. While there are things about Shadowrun Returns that I could see people nitpick or quibble about like better graphics, some voice acting or gamers that prefer action or turn based RPGs over SRPGs, I personally love the game as it is and there are enough staffers here at Diehard GameFAN seriously considering this game for our 2013 GOTY that it will be interesting to see which version of Shadowrun earns the most awards this year – the tabletop or the electronic. I have been waiting for a iso-turnbased gunplay RPG for a long time. Naturally I was hoping for a less linear structure, a longer campaign and a different save system, but playing SRR is a blast as it is now with more to come. I can’t wait to see what the modding community can do with this game. the endless possibilities of stories, hell even converting classic shadowrun table top stories is probably possible. Already done! There are several 1e and 2e conversions out there already like Fast Food Fight. If I ever get some down time, I’m planning on converting Bottled Demon or Blood in the Boardroom.